AS WESTLIFE release their greatest hits album ahead of their last tour, the band have told Day & Night they feel a weight has been lifted now they’re calling time after 14 years. They appeared on shopping channel QVC to promote the album and told Day & Night’s Lizzie (pictured right with the band) they’re enjoying life in the group again now their 2012 split has been announced. 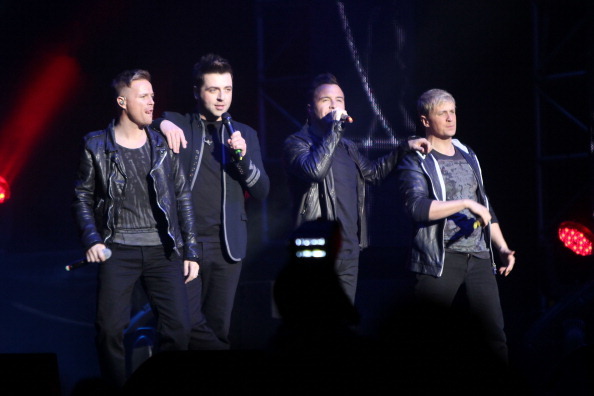 And Nicky Byrne, 33, Kian Egan, 31, Mark Feehily, 31, and Shane Filan, 32, said they’re looking forward to showing the world there’s more to them than bar stools and ballads.